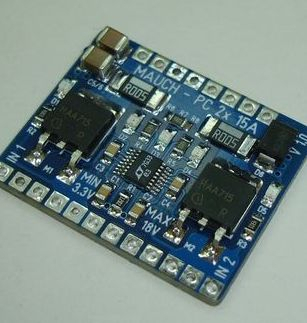 The input and output have blue LED’s for power good indication. The FET’s have red LED’s to indicate if they are switched off. 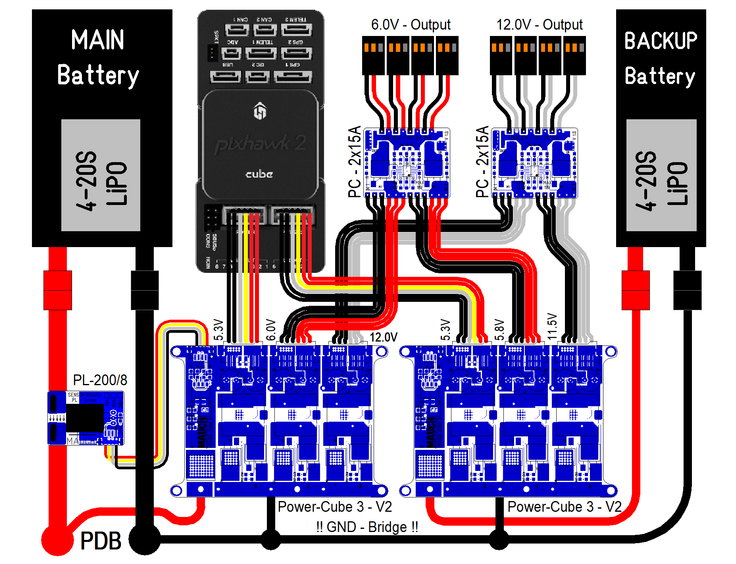 If both input voltages are within +/-3%, then the output current is shared 50/50 from both power supplies. 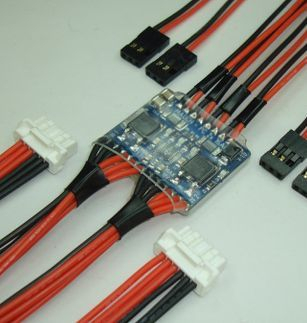 The device need a minimum output current of 0.03A (30mA) to activate the current sharing. If the output current is below that value, but both input voltages are the same, then any input (randomly) will be selected until the output current is high enough and the device start to share the current. If either input voltage is lower than 3% from the other, then this input is disabled and the full output current gets supplied by the higher input voltage power supply. 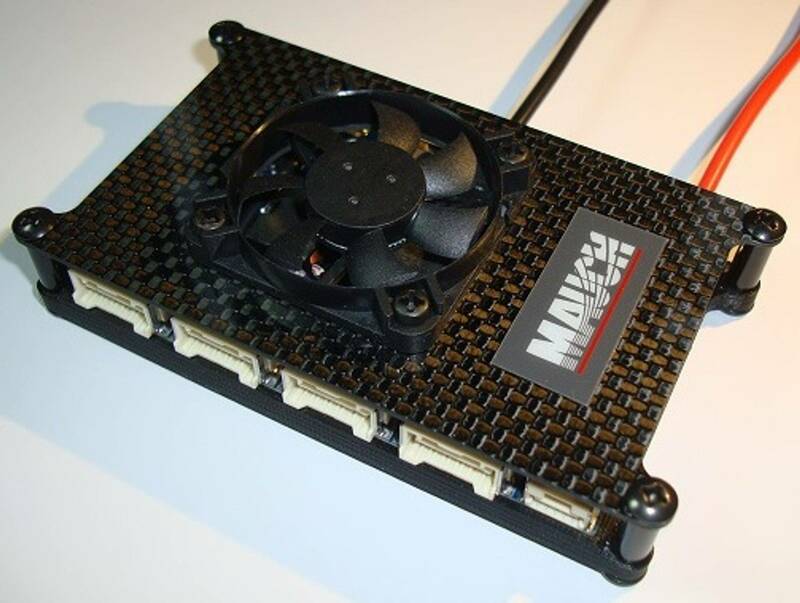 Input cable: 2x Molex / Click-Mate / 2.0 / L=200mm, in either red/black or white/black. 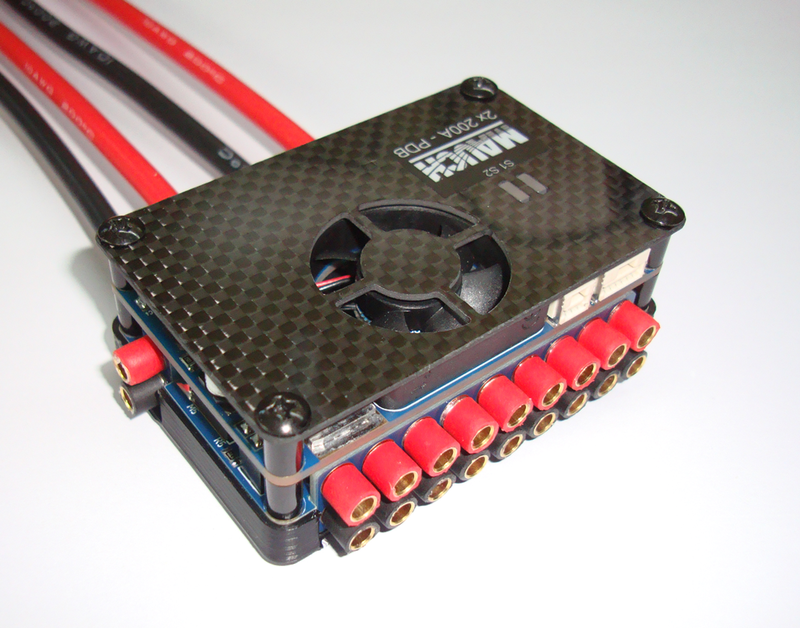 Output cable: 4x JR Servo connector / L=200mm, in either red/black or white black. INPUT 1 OFF, or below 3.3V. 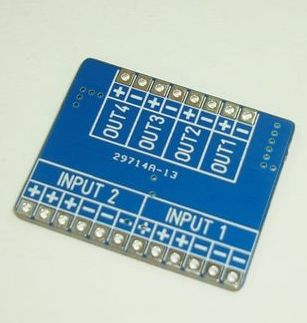 INPUT 2 OFF, or below 3.3V.